London was originally a Roman settlement founded over two thousand years ago that went by the name of ‘Londinium’. Now ‘Why Londinium’ you may ask yourself? Well, this word derived from an old Roman saying, which means ‘Oi! What the f*ck are you looking at?’. True – just ask Director: Norman Cohen; and Narrator: James Mason – especially whilst making this 53 minute documentary developed in 1969. Narrator, ames Mason, doffs his cap, puts on his comfortable overcoat, and then slips on a pair of shoes, before he starts to walk through the streets of old London town, reminiscing about times past, present, and probable future. The development of late sixties London – a place that nobody knows. The derelict Bedford Theatre – where the artist, Walter Sickert, once listened to Dr Crippen’s wife sing. Camden Town – a lo-cal that was for the gentry, that was for the over privileged, and that was for a murderer too. Astation for horses, a station for trains, and a pinnacle for Gas to Electric integration. In the Holbern Victorian gents – where all men are equal in the eyes of the lavatory attendant. Islington Marketplace – when Jack and Jill, went up the hill, and they forget to take the pill when they ort’ta. So when they came down, everyone did frown, as they brought with them an unsuspected daughter. The gas lamps by the side of the Savoy – and with this amenity their was a profession as well. Egg breaking Plant – err... no comment. Clink Wharf, Clink Prison, and Clink by nature. 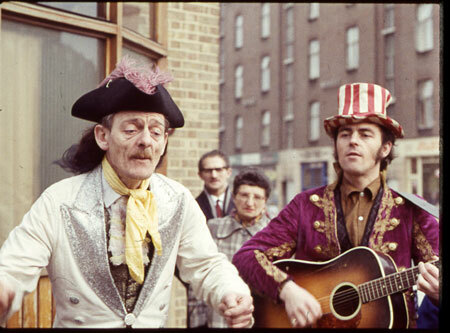 Street entertainers – a pair of down and out vaudevillians, plus a strongman show. From ie and Mash to the Undertakers – followed off by the Cemetery. Salvation Army lodging house – is this a place for hope or despair? Number 9 Hanbury Street – the location of Jack the Rippers 2nd victim. Buildings fall – children play – an old man sings – and the future is within bricks and mortar. London is a city that never changes – constantly. 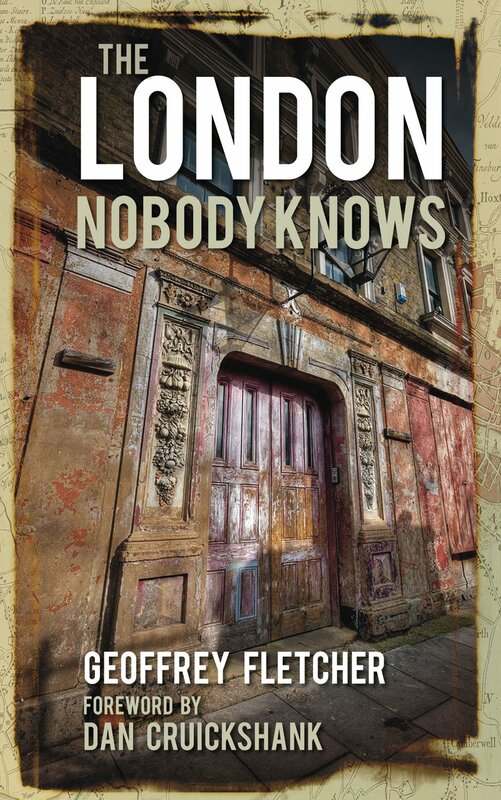 Now, esoterically, this documentary is an amalgamation of sorts: because it has the visuals of late sixties London – the charm of tweed wearing James Mason – and the words of 'The London Nobody Knows', a book written by psycho-geographical author, Geoffrey S Fletcher. OK, so with all of this mixed together, does this concoction make this program a mishmash of insurmountable proportions? Or alternatively, a nostalgic walk down memory lane? Err? Both really. As it’s one of those type of programs. You see, I find that this documentary is a product of its time, and told in a way that was way before its time. 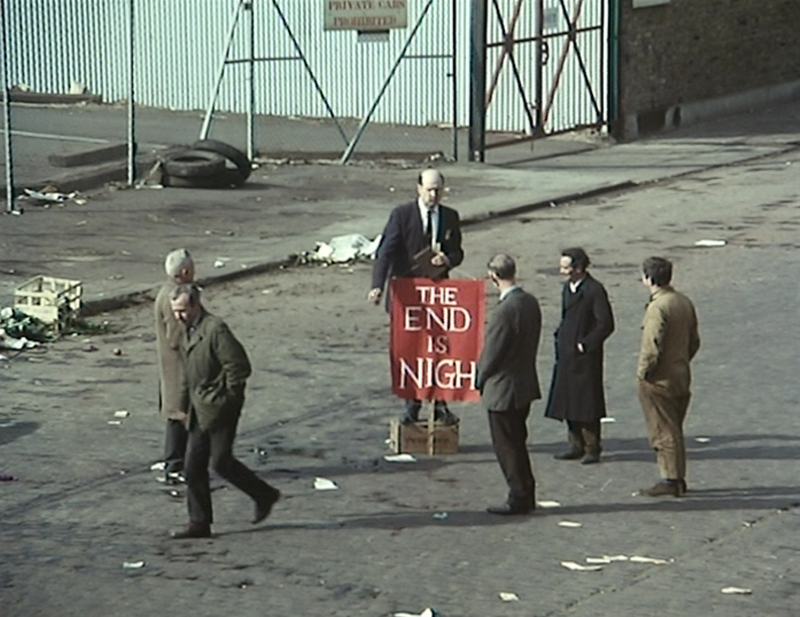 Conceptually, this ‘stroll down memory lane’ is a dual-tale of London's failure and London’s future – filtered through the words of both James Mason and whomever he interviews – plus the visuals on display as well. OK, I have to admit, the latter of these two ‘devices’ – the visuals – can be quite surreal at times. And to give you an quick example of what I mean by this, one minute the screen zooms into a darkened gravestone, only to then quickly zoom out again from a trumpets opening (please note: this was a scene-transition). However, the less surrealist side of this documentary, is the other part of the equation – the words – as the way that James speaks is really rather quaint and charming. Granted, on occasion, he can be quite sardonic in places – especially when he talks about London’s sixties developments. But this is by the by, and generally he is very pleasant to listen to... congenial even. One of my most favourite sections of 'The London Nobody Knows' is when James interviews’ some elderly gentlemen in a Salvation Army hostel. You can sense through these poor men’s voices straight away, that they have been though some hard times in the past, and there does not seem to be any hope in sight for them in the future. Sad really – how a country treats there own people with out ever seeming to care – and just goes to show how sixties London wasn’t so swinging after all. Also, another favorite section of mine -- and the main reason why I watched this program to begin with -- was the location of Jack the Rippers 2nd victim (Hanbury Street), because this is the only recorded depiction of this lo-cal in existence (since then it has been ‘redeveloped’). And do you know what? That is the key to this whole feature – redevelopment – and if that is a bad thing or a good thing within the eyes of history. Personally speaking, what I find that this program is trying to say, is that redevelopment is a good thing, but only if the developers take into consideration the follies of the past. Well – lets face it – would knocking down a 18th century music hall, only to pave way for a wine bar or something, be respectful to the past or the present? Or alternatively, would allowing for a historical building to gradually deteriorate over the years, be something that was fortuitous to all involved? No – of course not – and the same answer can be applied for people living within the area as well. On a end note, I would like to mention that the director of this film, Norman Cohen, did go on to make the film adaptation of the Spike Milligan novel, 'Adolf Hitler: My Part in His Downfall'. Plus, that most of the developments that were seen being erected within this film, did eventually get torn down due to neglect, bad-planning, and governmental error, over the years. Well, it just goes to show, huh? That nobody ever learns anything, unless you listen to James Mason, ha! Therefore, for that alone, this should give you reason enough to watch this documentary, right! A class act – transposed onto a less classy subject matter.